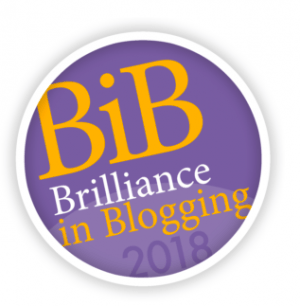 Nominations for the BiB awards (The UKs biggest Parent Blog Awards) are now open. Highlighting the very best of lifestyle blogging and social media by Parent Influencers. Recognising the most creative, inventive and compelling blogs and social media influencers of the year. We’d be humbled if you vote for us! Our little blog has been nominated for category 4: The Fresh Voice Category. This award celebrates newbies and their fresh approach to blogging and social media. Starting back in Sept 2016 and recently re-launched this year in April, I originally began my blogging journey whilst pregnant with my first son Theon. Unemployed as I had lost my job when my previous pregnancy miscarried. The blog was a way for me to stay motivated and make contact with others riding the same waves and storms as me. BritMums (hosts of the BiBs) is the UK’s leading collective of lifestyle bloggers and digital influencers, leading the conversation on topics ranging from food, parenting, travel, politics, style and more. 12 October at 1pm : Winners announced LIVE online on Twitter! Previous Post Men: What Are They Good For?